PinkyPiggu is in the finals for the Singapore Blog Awards 2013 ~ Best Cooking Blog! 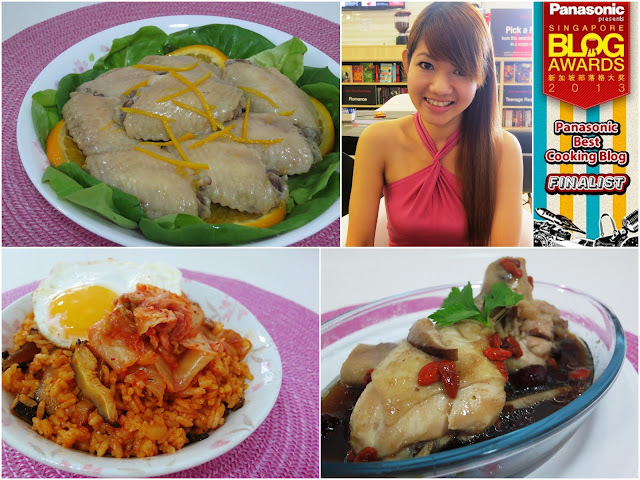 I was very very surprised when I was notified that I'm one of the top 10 finalists for the best cooking blog category. Not just considering that I had started blogging only a few months ago, but also the fact that this is a food blog where I share mostly my dining experiences, and cooking experiments made up only about 10% of my blog content. Too busy eating, not much time for cooking lol. As a working adult who is usually too tired by the end of the day to indulge in any elaborate ritual of cooking and washing, I try to keep the ingredients as minimum and cooking method as fuss-free as possible. Supermarketing is one of the activities which I really enjoy doing as there's where I get most of my inspiration from. I like to adapt familar home-style dishes which I've grown up with to my suit personal preference, often experimenting with fresh combination of ingredients and flavours. I will continue to enjoy cooking, churn out delicious dishes and sharing the recipes with all of you, my friends and readers. ♥ Click in to vote now! You will be directed to Panasonic Singapore’s Facebook page. 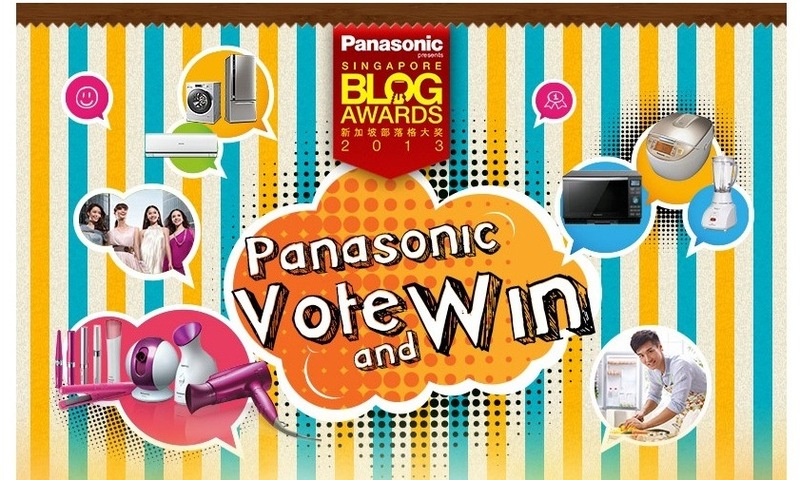 ♥ LIKE Panasonic Singapore’s Facebook page, VOTE and WIN! Voting period has already started from now till 23 June 2013. While you're busy voting, I will be busy cooking! Do watch this space closely as some interesting recipes will be coming up very soon! Your blog is really very good and it has many healthy foods which were very easy to make. Thank you so much for this post. I will love to refer your blog to get some wonderful unique, tasty and healthy recipes.